Seam Binding Tape - 12mm (1/2")	There are 48 products. 1m * Seam Binding Tape - 12mm (1/2") - Beige. Sold by the metre. This is a non stretch tape used as a hem edge finish and to hide needlework to make shirts, dresses and other clothes look seamless. 1 * Seam Binding Tape - 12mm (1/2") - Beige. Roll Price 25m. This is a non stretch tape used as a hem edge finish and to hide needlework to make shirts, dresses and other clothes look seamless. 1m * Seam Binding Tape - 12mm (1/2") - Dark Beige. Sold by the metre. 1 * Seam Binding Tape - 12mm (1/2") - Dark Beige. 25m Roll Price. This is a non stretch tape used as a hem edge finish and to hide needlework to make shirts, dresses and other clothes look seamless. 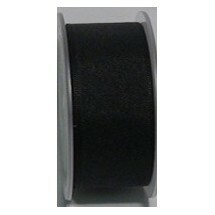 1m * Seam Binding Tape - 12mm (1/2") - Black. Sold by the metre. This is a non stretch tape used as a hem edge finish and to hide needlework to make shirts, dresses and other clothes look seamless. 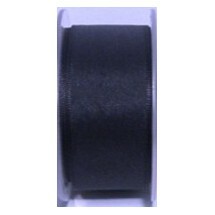 1 * Seam Binding Tape - 12mm (1/2") - Black. 25 Roll Price. This is a non stretch tape used as a hem edge finish and to hide needlework to make shirts, dresses and other clothes look seamless. 1m * Seam Binding Tape - 12mm (1/2") - Blue. Sold by the metre. This is a non stretch tape used as a hem edge finish and to hide needlework to make shirts, dresses and other clothes look seamless. 1 * Seam Binding Tape - 12mm (1/2") - Blue. 25m Roll Price. This is a non stretch tape used as a hem edge finish and to hide needlework to make shirts, dresses and other clothes look seamless. 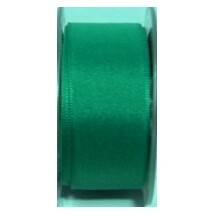 1m * Seam Binding Tape - 12mm (1/2") - Bottle Green. Sold by the metre. 1 * Seam Binding Tape - 12mm (1/2") - Bottle Green. 25m Roll Price. 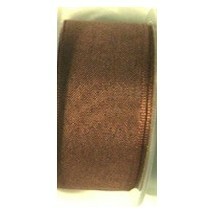 1m * Seam Binding Tape - 12mm (1/2") - Brown. Sold by the metre. This is a non stretch tape used as a hem edge finish and to hide needlework to make shirts, dresses and other clothes look seamless. 1 * Seam Binding Tape - 12mm (1/2") - Brown. 25m Roll Price. 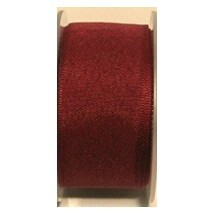 1m * Seam Binding Tape - 12mm (1/2") - Burgundy. Sold by the metre. This is a non stretch tape used as a hem edge finish and to hide needlework to make shirts, dresses and other clothes look seamless. 1 * Seam Binding Tape - 12mm (1/2") - Burgundy. 25m Roll Price. This is a non stretch tape used as a hem edge finish and to hide needlework to make shirts, dresses and other clothes look seamless. 1m * Seam Binding Tape - 12mm (1/2") - Cream. Sold by the metre. This is a non stretch tape used as a hem edge finish and to hide needlework to make shirts, dresses and other clothes look seamless. 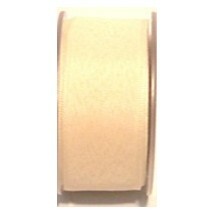 1 * Seam Binding Tape - 12mm (1/2") - Cream. 25m Roll Price. This is a non stretch tape used as a hem edge finish and to hide needlework to make shirts, dresses and other clothes look seamless. 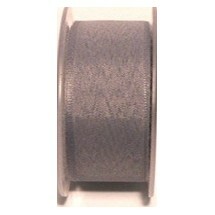 1m * Seam Binding Tape - 12mm (1/2") - Dark Grey. Sold by the metre. This is a non stretch tape used as a hem edge finish and to hide needlework to make shirts, dresses and other clothes look seamless. 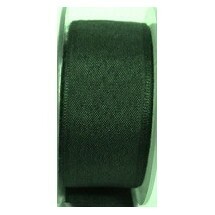 1 * Seam Binding Tape - 12mm (1/2") - Dark Grey. 25m Roll Price. This is a non stretch tape used as a hem edge finish and to hide needlework to make shirts, dresses and other clothes look seamless. 1m * Seam Binding Tape - 12mm (1/2") - Gold. Sold by the metre. This is a non stretch tape used as a hem edge finish and to hide needlework to make shirts, dresses and other clothes look seamless. 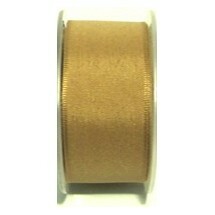 1 * Seam Binding Tape - 12mm (1/2") - Gold. 25m Roll Price. This is a non stretch tape used as a hem edge finish and to hide needlework to make shirts, dresses and other clothes look seamless. 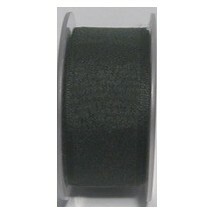 1m * Seam Binding Tape - 12mm (1/2") - Jade. Sold by the metre. This is a non stretch tape used as a hem edge finish and to hide needlework to make shirts, dresses and other clothes look seamless. 1 * Seam Binding Tape - 12mm (1/2") - Jade. 25m Roll Price. This is a non stretch tape used as a hem edge finish and to hide needlework to make shirts, dresses and other clothes look seamless. 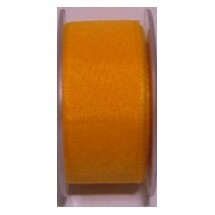 1m * Seam Binding Tape - 12mm (1/2") - Lemon. Sold by the metre. This is a non stretch tape used as a hem edge finish and to hide needlework to make shirts, dresses and other clothes look seamless. 1 * Seam Binding Tape - 12mm (1/2") - Lemon. 25m Roll Price. 1m * Seam Binding Tape - 12mm (1/2") - Light Grey. Sold by the metre. This is a non stretch tape used as a hem edge finish and to hide needlework to make shirts, dresses and other clothes look seamless. 1 * Seam Binding Tape - 12mm (1/2") - Light Grey. 25m Roll Price. This is a non stretch tape used as a hem edge finish and to hide needlework to make shirts, dresses and other clothes look seamless. 1m * Seam Binding Tape - 12mm (1/2") - Lilac. Sold by the metre. This is a non stretch tape used as a hem edge finish and to hide needlework to make shirts, dresses and other clothes look seamless. 1 * Seam Binding Tape - 12mm (1/2") - Lilac. 25m Roll Price. This is a non stretch tape used as a hem edge finish and to hide needlework to make shirts, dresses and other clothes look seamless. 1m * Seam Binding Tape - 12mm (1/2") - Navy. Sold by the metre. This is a non stretch tape used as a hem edge finish and to hide needlework to make shirts, dresses and other clothes look seamless. 1 * Seam Binding Tape - 12mm (1/2") - Navy. 25m Roll Price. 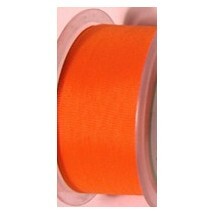 1m * Seam Binding Tape - 12mm (1/2") - Orange. Sold by the metre. This is a non stretch tape used as a hem edge finish and to hide needlework to make shirts, dresses and other clothes look seamless. 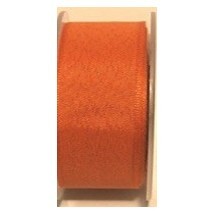 1 * Seam Binding Tape - 12mm (1/2") - Orange. 25m Roll Price. 1m * Seam Binding Tape - 12mm (1/2") - Pale Blue. Sold by the metre. This is a non stretch tape used as a hem edge finish and to hide needlework to make shirts, dresses and other clothes look seamless. 1 * Seam Binding Tape - 12mm (1/2") - Pale Blue. 25m Roll Price. 1m * Seam Binding Tape - 12mm (1/2") - Pale Pink. Sold by the metre. 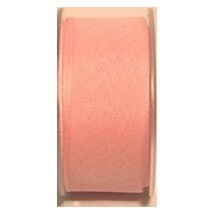 1m * Seam Binding Tape - 12mm (1/2") - Pale Pink. 25m Roll Price. This is a non stretch tape used as a hem edge finish and to hide needlework to make shirts, dresses and other clothes look seamless. 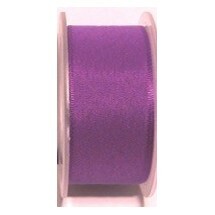 1m * Seam Binding Tape - 12mm (1/2") - Purple. Sold by the metre. This is a non stretch tape used as a hem edge finish and to hide needlework to make shirts, dresses and other clothes look seamless. 1 * Seam Binding Tape - 12mm (1/2") - Purple. 25m Roll Price. 1m * Seam Binding Tape - 12mm (1/2") - Red. Sold by the metre. This is a non stretch tape used as a hem edge finish and to hide needlework to make shirts, dresses and other clothes look seamless. 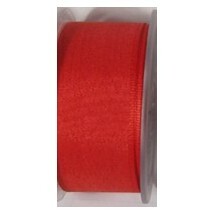 1 * Seam Binding Tape - 12mm (1/2") - Red. 25m Roll Price. This is a non stretch tape used as a hem edge finish and to hide needlework to make shirts, dresses and other clothes look seamless. 1m * Seam Binding Tape - 12mm (1/2") - Royal Blue. Sold by the metre. This is a non stretch tape used as a hem edge finish and to hide needlework to make shirts, dresses and other clothes look seamless. 1 * Seam Binding Tape - 12mm (1/2") - Royal Blue. 25m Roll Price. 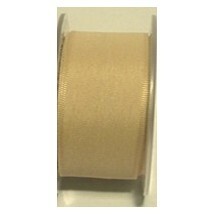 1m * Seam Binding Tape - 12mm (1/2") - Tan. Sold by the metre. This is a non stretch tape used as a hem edge finish and to hide needlework to make shirts, dresses and other clothes look seamless. 1 * Seam Binding Tape - 12mm (1/2") - Tan. 25m Roll Price. This is a non stretch tape used as a hem edge finish and to hide needlework to make shirts, dresses and other clothes look seamless. 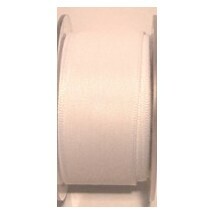 1m * Seam Binding Tape - 12mm (1/2") - White. Sold by the metre. This is a non stretch tape used as a hem edge finish and to hide needlework to make shirts, dresses and other clothes look seamless. 1 * Seam Binding Tape - 12mm (1/2") - White. 25m Roll Price. 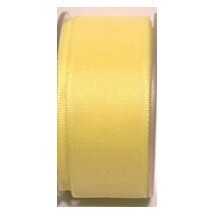 1m * Seam Binding Tape - 12mm (1/2") - Yellow. Sold by the metre. This is a non stretch tape used as a hem edge finish and to hide needlework to make shirts, dresses and other clothes look seamless. 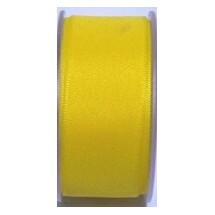 1 * Seam Binding Tape - 12mm (1/2") - Yellow. 25m Roll Price.